This morning we had condensation on the inside of the windshield for the first time. We are going to Long Beach to take a look at the seashells and anchor in Coecles (pronounced Sickles) Harbor on the east side of Shelter Island. We raised anchor at 702am in Montauk Lake, passed Bug Lighthouse and anchored on the inside of Long Beach by 1034am as it was too wavy to be on the outside. There are plenty of power boats going up to Plum Gut and Orient Harbor, which also included the very large Ferry Boats going across Plum Gut. What is Plum Gut? Take a look in the top right corner of this chart. Shortly after we anchored, I talked with our cruising friend Dianne and now we will go to Dering Harbor and have dinner on their boat M/V China Doll with some sailing friends this evening. We are looking forward to seeing them again and so glad that we’ll be able to connect with them. Phil rowed the dinghy into the beach, if you can call it that. This is a stony beach with bigger stones on the outside (south side) and smaller stones on the inside. Be sure to wear sandals. At Long Beach there are millions of small shells; Yellow, orange shells and little slipper looking shells. Sometimes you see parts of bigger shells too. We also saw more of the little muddy looking crabs; some had holes pecked into them, others were alive and moving slightly, and those often were being captured and eaten by the seagulls. I even saw a dried intact horseshoe crab that I took photos of, but left behind. This area is protected so they want you to leave only taking photos with you. Actually, we weren’t sure if we needed a permit just to walk there. I was tempted to take some shells, but ultimately we don’t have room on the boat. We got back to the Changes, had lunch and started the engine at 1225pm. 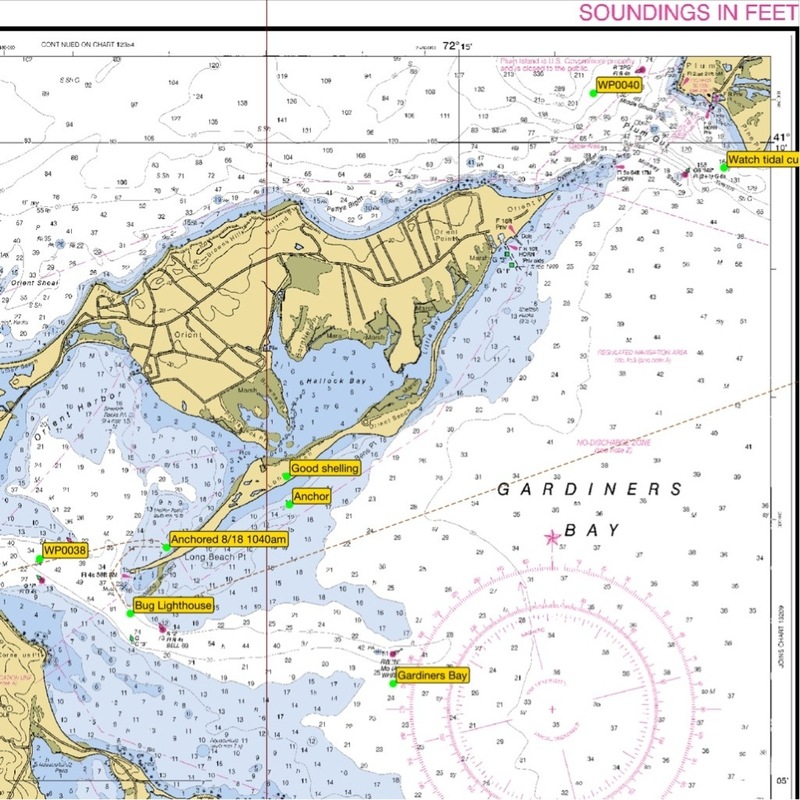 The waters around Shelter Island have a lot of current between the land bodies. Our boat speed was 6.05 kts but the GPS speed had a low of 3.0 knts and high of 4kts. 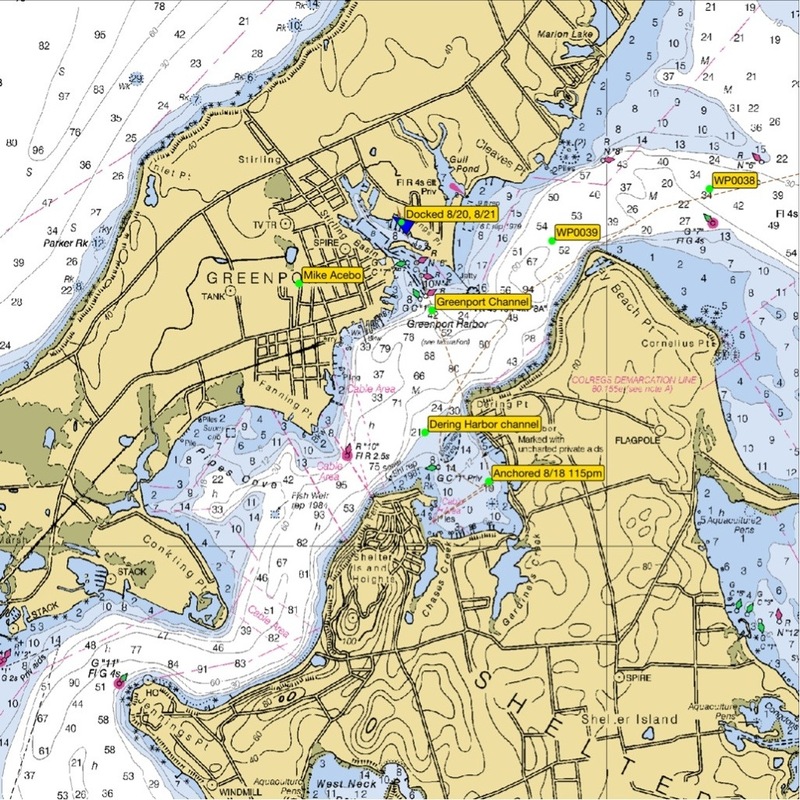 It didn’t take us too long to get into Dering Harbor and we anchored at 115pm making sure to keep over 500′ off the land as per their Ordinance and on the edge of the mooring field but also next to China Doll. After a while Phil B. came out in their new to them center console dinghy to welcome us. He said that where we are anchored is ok. We chatted for while and then started to prepare for taking showers, which for ME meant warming up water on the stove to put in the Sunshower as it’s too cloudy for the sun heat the water. Did you I know that we don’t have a water heater on the boat??? I’m ok with that as my Sailrite Sewing Machine is taking up the place of the water heater. Priorities! I also gave Phil his first haircut of the trip with my Flowbee. Check out this link if you want to know what I’m talking about. He looks much better and I’ll post a before and after photos as soon as I can. We arrive at the appointed time at China Doll. Phil once again rowed us over so we didn’t have to put the outboard on the dinghy. Phil B. complemented us saying we cleaned up good. We looked pretty ragged around the edges when he visited earlier as it had been a couple days between showers. Shortly after we arrived, Courtney and Chip of S/V Foxy Lady arrived via launch. They just bought their Corbin 41 and are thinking about going cruising, so they had a lot of questions. 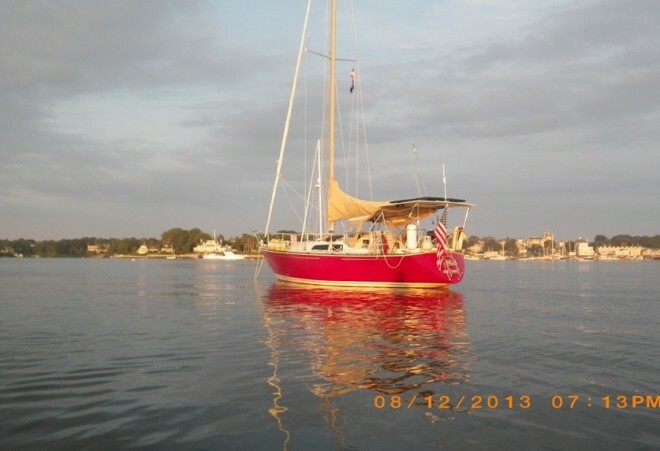 If you are at the Annapolis Boat Show this year, Foxy Lady be there too as part of the show. Courtney and Chip will be taking her down and then maybe after the boatshow, they may be going somewhere else. I recommended they go down to the Hampton Virginia Snowbird Rendezvous event Oct 18-20 after the boat show. It would be perfect for them as they have seminars about being on the ICW. There isn’t a lot of dockage or anchorage in the area, so if they’re interested, better make reservations now. We expect to be south of there by that time, so don’t expect to go ourselves, though I’m interested just to hook up with more cruisers. Back to our evening: we were also joined by Barbara and Jim from S/V Red Skye also on the launch. We had a great time and had a real treat for dinner, Balsamic Chicken and real mashed potatoes! First time we’ve had mashed potatoes on our trip. 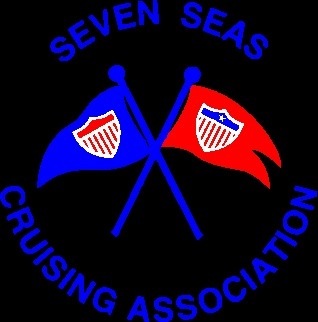 It was great meeting new people and getting caught up with cruising friends. Thank you Phil and Dianne for your hospitality!! We have decided to stay one more day In Dering Harbor, then go across the water to Greenport and visit our ice boating friend, Mike Acebo. This entry was posted in 2013, anchorages, Cruising Friends, Long Island Sound, New York, United States and tagged Cruising friends, dinner. Bookmark the permalink. Say hello to Phil and Diane on China Doll for me. They are experts on eastern Long Island and great people to spend time with. Shelter Island area is really cool. Very old school yachting community. We’re your ears burning? They like you a lot too and we were talking about our times in the Bahamas.